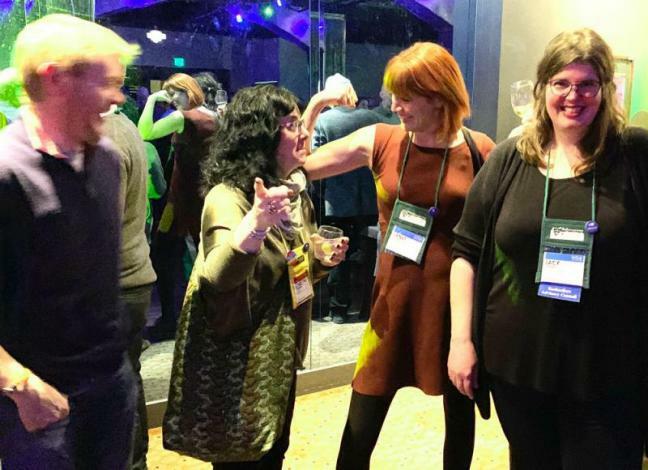 ROCKLAND—This past November, Ada’s Kitchen Bar Manager, Stacy Campbell, was invited to Portland,Oregon, during Portland Cocktail Week, to learn the latest trends in Event Management and mixology. 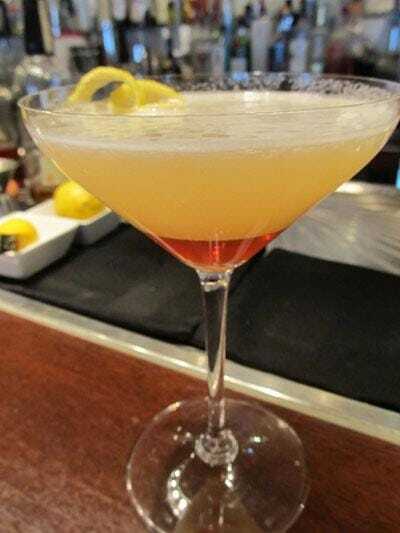 While bars have always offered a non-alcoholic choice of beverage, in Maine, the non-alcoholic craft cocktail, or mocktail, trend had to originate with Vena’s Fizz House in Portland, Maine, which debuted the botanical-infused mocktail when it opened in 2013. 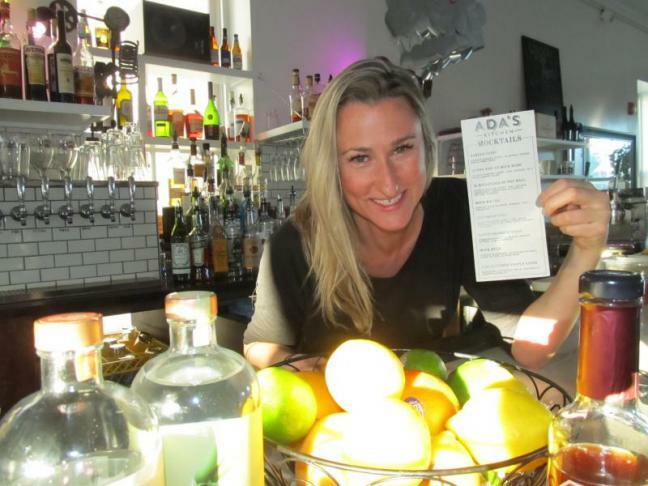 After Campbell got a taste of the flavorful non-alcoholic spirits in Portland, Oregon, she began to imagine its possibilities at Ada’s Kitchen. Apart from the typical seltzers and juices, Campbell knew, after what she’d tasted in Portland, they were going to need to up Ada’s game. Seedlip is a UK company that produces the distilled non-alcoholic spirits, based on herbal remedies published more than 300 hundred years ago by a physician named John French. The company, which produced its first batch using herbs and a copper still in 2015, became a international sensation, with iconic restaurants such as The Savoy, The Ritz and even Buckingham Palace vying for a bottle. Read more of their story here. A bottle of Seedlip is £27 or $35 and Campbell was able to purchase several for Ada’s Kitchen and have them shipped to Rockland. “Then I got to work, putting together a number of recipes that work best with the flavor profiles,” she said. The Garden Tonic is Ada’s best seller on the mocktail menu. Using Seedlip’s Garden 108, made from natural botanical distillates and extracts (peas, hay, Spearmint, Rosemary, Thyme, Lemon hops), the mocktail contains jalapeno, lemon and just a splash of Brooklyn-based Fever-Tree Tonic. “When you open the bottle, it’s this incredibly bright, fresh, smell,” she said. After she mixed the non-alcoholic spirit with the other drink’s ingredients, the visual result was like a garden in a glass with fresh basil, a long strip of cucumber and an expertly peeled coil of lemon rind swirled throughout. Given the complexity of the mocktail and its imported ingredients, it costs just slightly under what a cocktail would be priced (around $8-9), but then again, what you’re getting is the little black dress of mocktails, not just tonic from the gun and the plop of a lime wedge. “Right now, I’m trying to create our own version of the non-alcoholic Negroni,”said Campbell. The discovery of Seedlip has led her down the path of searching for other fizzy mixers and high-quality ingredients. CAMDEN— The “quiet” side of the Camden harbor, the marina and boatyard owned by Lyman Morse at Wayfarer Marine, is about to bustle with more traffic this spring with the opening of Blue Barren Distillery, a small-batch craft distillery and tasting room that will sit right next to Rhumb Line. Co-owners Andrew Stewart of The Drouthy Bear and Jeremy Howard, a seventh generation blueberry farmer, and part of of Brodis Blueberries in Hope, are behind the small operation. Stewart, along with his wife, Shannon, owned the Hope General Store for nine years before moving to Camden and buying a house on Elm Street, converting the downstairs into The Drouthy Bear pub. The Stewarts still have deep connections to the Hope community, which is where their friendship with Howard was forged. The Drouthy Bear is the only establishment in the Midcoast that focuses on rare Irish and Scottish whiskies, so opening a distillery wasn’t a far leap. The small talk turned into a serious interest when two years ago, the duo traveled to Boston to tour Bully Boy Distillery in Boston, the first distillery in Boston opened since Prohibition. That visit solidified their intent and from there, they began to educate themselves on the distilling process through books, the internet, multiple interviews with other distillers and even a course on distilling in Chicago. The biggest pieces to fall into place involved finding the right location, getting a loan from The First, working through the endless hurdles of federal and state licensing and choosing the best still. They eventually landed in a small dark blue building that abuts Lyman Morses marina, an industrial space, which used to be a machine shop. It took months of research to decide upon a small batch Vendome Copper & Brass Works still from a venerable company that has been making stills since 1900. The stainless steel and copper one-hundred-gallon pot still dominates the corner of the room while four giant plastic vats called totes, containing the purple mash of fermented blueberries take up the other half. What’s left over is the leftover water, sediment and yeast and bits of blueberry stem and hull, which eventually they may use in secondary products such as soaps, hand creams and fertilizer. Stewart and Howard initially envisioned it would only take a month or two to harvest the blueberries, ferment them and run through the boiler on their initial stripping run back in August. But, between paperwork and the delay of getting the still, it took so much time, they had to harvest the blueberries and have Oyster River in Warren ferment the product for them. As Stewart poured the clear alcohol into multiple glass jars, he has learned by sniffing the product to know at which phase of the stripping run it’s in. “I’m learning as we go, but a master distiller will know just by smell after if it has had air or after its been in a barrel, they have enough experience to know how the flavor profile will change,” he said. After the blueberry brandy, Stewart and Howard will move onto a Scottish-inspired gin styled after a Plymouth gin as well as rum with six new products by May or June. “Everyone thinks of Scotland as the ‘whisky country,’ but there has been an explosion of gin over the last decade with more than 100 gin distilleries in Scotland, and a huge exploration of styles and flavors,” he said. Blue Barren Distillery had hoped to debut their brandy, eau de vie, at the U.S. Toboggan National Championships February 8-10 with a vendor booth. 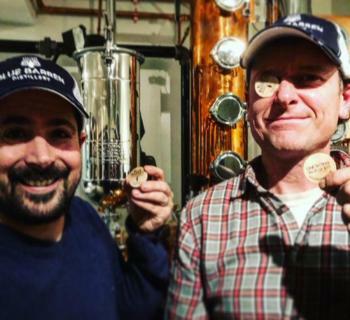 However, due to labeling issues and delays caused by the government shutdown, the product is again delayed and they will be selling cocktails using other Maine distillers to support the growing craft distillery movement in Maine, as well generate income to launch their space. By May, they hope to renovate the machine room into a tasting room with a lab and include outdoor tables on the deck with an awning facing the ocean. “Drew [Lyman] has been incredibly supportive and kind and really excited to have something for people who come in on the boats for also for the community at large,” said Stewart. The opening will be a boon to Camden, which has never had a distillery before. For updates stay tuned to their Facebook page. Whether you're new to the Midcoast and just want to find something social to do during the week nights or you're sick of being cooped up inside all winter, we've got a rundown of the most social happenings every night of the work week. Come with friends or come alone and meet new friends. Time: 6:30 to 11:30 p.m.
Vibe: The downtown hot spot just moved their Open Mic to Monday night to make room for more theme nights. Most of the acts are musical at this point, with a nice diversity of styles ranging from comical to serious. They'd like to open it up more to poetry and performance art. Vibe: This is a homey Scottish pub with delicious food, fantastic beer, great people, and a wonderful atmosphere for sitting by the fire. 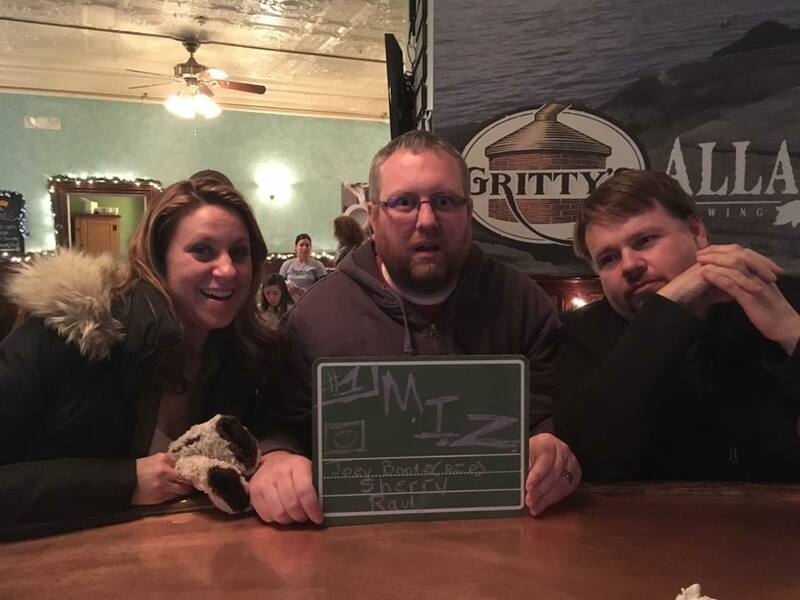 Trivia Night offers 60 questions in six different categories that change every week. Teams of four or fewer can play with a suggested donation of $1 per person. All proceeds to charity. Don’t feel like Trivia? They also have lots of board games available at any time. Vibe: The Badger Cafe & Pub has an open, neighborly feel to the restaurant and tiny bar (with outstanding craft brews). Anyone can drop in and play on trivia teams (up to five people per team) and it costs $2 per person to play. The winnings are split between the first place team and the middle place team. If you show up alone, you can either play as your own team or join up with a team that is short. As one player said, “Swearing is allowed and only sometimes frowned upon.” Call ahead for any questions 207-785-3336. Vibe: Rock Harbor Pub & Brewery is Rockland’s only microbrewery and it's got a homey, pub feel where the audience can belly up to the bar while the performers do their thing. The crowd is wide-ranging, from late 20s to 60s. They offer a drum set for performers and one of their regulars can always be counted on to bring his stand up cello bass to accompany musicians. The gentleman who runs it can also play almost any instrument to accompany newcomers as well. The Open Mic is mostly musical, but they're open to any form of performance. Starting on February 1 the inn is offering an adult game night with a different game each week such as Scrabble, Cribbage, Charades and various board games, along with a selection of soup, sandwiches salads, pizza and bar snacks along with beer and wine. Game Night goes until April 26. There’s a $5 minimum per person. Reserve your space by calling 207-505-5231. Vibe: This cozy, rustic pub wants to offer a mid-week reason to get together and this is a great spot for folks who live farther from the coast to gather and play some games. Starting January 11, they’ll start with cards and cribbage and offer something different on Thursday nights. Vibe: See description in Wednesday’s listing. They’re considering a dart league, Texas hold'm tourney as well as grub and grog specials. Vibe: This is one of Rockland's longstanding local taverns with a range of participants in their 20s to 40s. Nice, friendly people. The Open Mic sets are mostly musical. There's always a core group of talented people who come in rotating with new people who drop in. The music can range from bluegrass to country to rock and roll. Vibe: Twice a month, LOUGH loud SMILE big, a cupcakes and custom party supplies store in Rockport hosts a fun evening of eating, drinking and painting! They provide cake pops, cupcakes and snacks, as well as water and coffee. You are welcome to bring a BYOB, if you'd like. They provide ice, wine glasses and openers. They also provide paints and materials to create a masterpiece for $30 plus tax. Call to learn which Fridays they are offering this event and reserve your seat. 230-7001. Time: 9 p.m. to 12:30 a.m.
Vibe: Cuzzy's is the only local's tavern left in Camden with the unofficial motto of “The liver is evil and must be punished!” Held upstairs in the bar, their Karaoke Night has a pretty big following with its regulars, who even made their own Facebook page dedicated to it. The vibe is fun and supportive, especially in the case when someone without a whole lot of vocal training gets up to sing. Some pick goofy songs and others really nail it. Restaurant/Bar Owners: For any additions or corrections, please contact the reporter below. It’s a blink-and-you’ll-miss-it building, but well worth circling back around to. 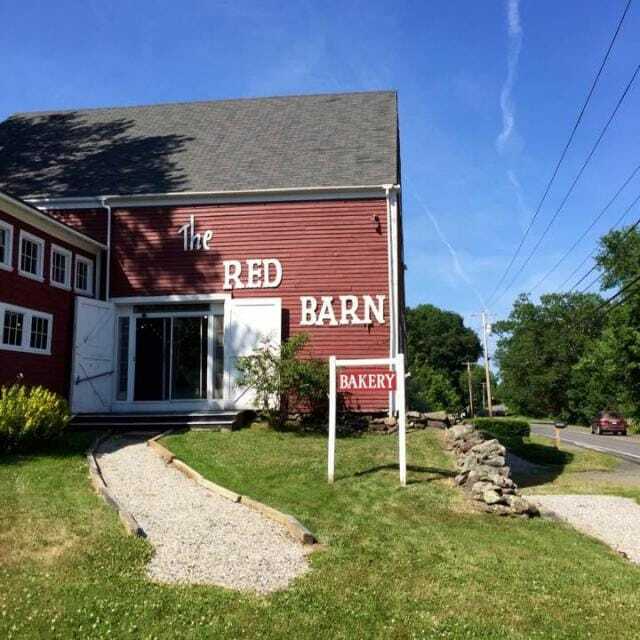 The Red Barn Baking Co., just on the Camden/Lincolnville town line on Route 1, is known for its insanely coveted baked goods, but the other half of the century-old barn is a treasure trove. Inside the two-story barn, one quarter of the first floor is dedicated to the bakery. The rest of the space is for approximately 30 individual vendors who share it, featuring there an eclectic mix of upcycled art, refinished furniture, vintage repurposed housewares, textiles and original creations. Each “booth” has its own distinct personality —sort of like 30 micro-stores within a store. “There’s a lot of unique talent here,”said retail manager Kris Brown. 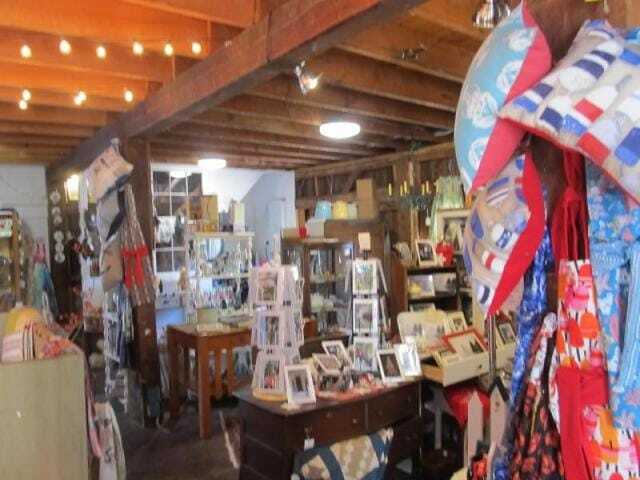 Many of the people who have space in the Red Barn have full time jobs, but they go on search missions for unique items, are able to curate them and successfully use the space to display and sell them. “It’s been amazing to watch what goes in and out of here,” said Brown. There’s even gourmet food items, such as jams, jellies and sauces from Northwoods Gourmet Girl and the Maine Chef near the front entrance. Co-owners Katie Capra and Dale Turk originally purchased the large barn in 2014 with the intent to just sell Capra’s baked goods. For the holiday season, the biggest sellers have been homemade wreaths and vanilla candles. For people who love shopping local and supporting locals, it’s a place worth checking out. The Midcoast’s Guide To Happy Hours. Bookmark the link above when you want to figure out where to go on any given day of the week. ROCKLAND — Richard Allen is a wanderer. Having grown up in Thomaston and served in the army, he spent his youth traveling through Europe, and working as a painter and sculptor all over the country, including a stint in San Francisco, before heading back to his home state. His six-foot-tall driftwood horses and moose sculptures embody so much of his free-range aesthetic. Their “muscles” are made from bleached bits of knobby driftwood he collects on beaches. Currently, a “herd” of them stand on the lawn of Michael Good Gallery in Rockport. Allen doesn’t have a studio, representation or a website and prefers to use his Rockland backyard as a scrap pile for his latest creations. The horses and moose take several months to create. He spends several days a week combing beaches and inland areas for driftwood, which is getting harder to come by he admits. Once assembled, he covers every inch of the pieces with sealant so that they can withstand the elements year after year. Allen used to work in oil paintings, but found the competition to be too much. “Every artist has a certain style and I wouldn’t say these sculptures are for everybody but I don’t really have the competition for these,” he laughs. 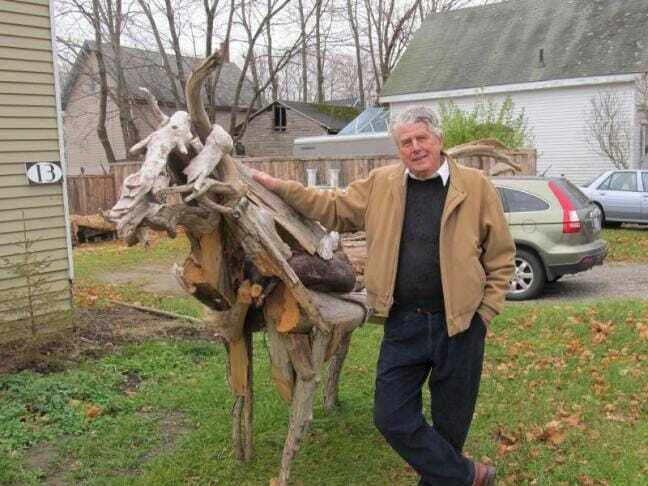 Allen does other animal sculpture work as well including wood-carved pigs and he was commissioned to make the giant iconic lobster that sits in front of Claws, the Rockland lobster shack on Route 1. While Allen heads down to Florida for the winter to work on some more pieces his herd of moose and horses will remain all winter on the lawn at Michael Good Gallery. Josh Gerritsen, a professional photographer and director of a new Midcoast-based movie, Island Zero, is excited to be working in Maine on his first movie. That his mother, best-selling thriller novelist Tess Gerritsen, is involved is no coincidence — she wrote the screenplay. “Two summers ago, I was weeding the garden with my mom and out of the blue she said, ‘We should make a horror movie together,’” said Josh Gerritsen. You know, the typical things a mom and son chat about. It’s an ensemble film with five main characters. Laila Robins, from the Showtime show “Homeland” is the most well known of the cast. And although Tess Gerritsen wrote the script, this is not her first screenplay. In 1993, she co-wrote the story and screenplay for Adrift, which aired on CBS as Movie of the Week. Josh Gerritsen also has a background in documentary filmmaking, but this is his first foray into feature films. “I’m drawn to the slow building tension, not the monsters that just leap out at you, but something that builds to terrifying,” he said. Mariah Klapatch, a Camden native and longtime friend of the Gerritsens, is producing the film, which has a self-financed budget of up to $300,000. The film, not surprisingly, has already gotten built-in community support. 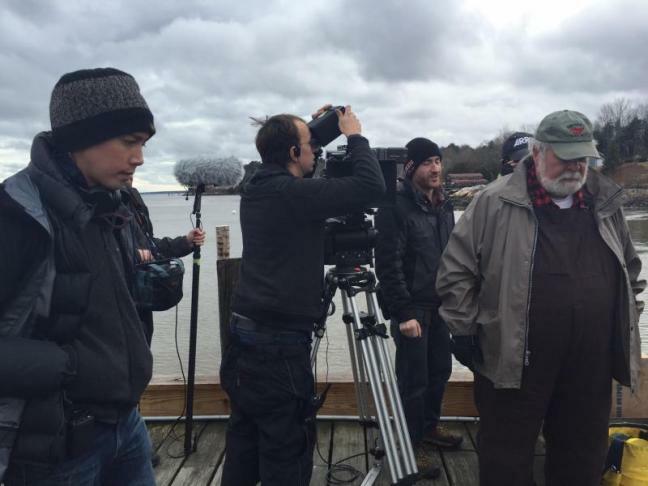 The majority of the cast and crew are also from Maine. “If we were an LA cast and crew that just flew in and asked the locals can we shoot at your diner? Can we shoot at your inn? It would be challenging,” Gerritsen said. At the time of our interview, Gerritsen and the crew had only been shooting for a week in the Midcoast. Their locations included a doctor’s office, Camden Harbor, Rockport Harbor and the Swan House, a Camden inn, as well as at a house near Megunticook Market. We met the night before the crew was supposed to spend three consecutive 12-hour days shooting on Islesboro. You try to give him some helpful suggestions of vets in the area, as does everyone sitting around at the bar. Travolta’s straight face now breaks into a grin. “Good, because these puppies are sick,” he says, flexing his biceps and giving each arm a kiss. 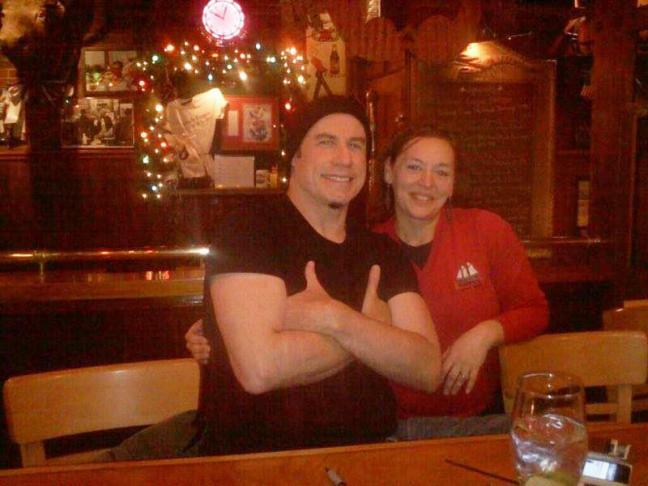 Travolta was one of a few celebrities who stopped by Cappy’s Chowder House in its 37-year run. Former bartender Duncan Lockie (who made a mean margarita) had another funny story. It was clear how much Cappy’s staff enjoyed their customers. We covered Cappy’s when “Big John” Collins, one of Cappy’s veteran bartenders returned after 13-year-hiatus. We also highlighted bartender Flagg Campbell’s killer Bloody Mary. Graphic designer Maggi Blue recalls her fleeting days as a server. Customer Rai Burnham had a memory that forever changed her view of her mother. We’re going to miss the free popcorn and hot wings, the Crow’s Nest and Deck Munchies, Girls’ Nights and after work gatherings, but mostly we’re going to miss the people who worked there and saw us as their “regulars.” Goodbye Cappy’s. We’re sorry to see you go. If you’re one of those people who checks the same five websites every morning with your cup of coffee, it might be time to get your brain in gear for whatever you plan to accomplish in 2016. The top resolutions for people in 2015 were: Losing weight, getting organized, spending less, enjoying life and learning something exciting. Here are five websites to help you learn something new (and they’re free so you’re spending less.) See how I worked that in? I have to say, I love this website. It keeps you honest. It’s a free online calorie counter and diet plan. It’s not rocket science, it’s just science. You lose weight by tracking your caloric intake. Because, as you know, those umbrella cocktails have a way of sneaking up on the scale. When you create a profile, which you can make private or share publicly if you want some support from fellow pals, you begin to slowly train your brain on what healthy foods (and fast foods) you can choose each day. When you hit your daily goals, it feels like an accomplishment and motivates you to keep it up. Ugh.... January to April. The pervasive feeling if you’re not an outdoor person in the winter is that there’s nothing to do. But, you don’t just have to binge on Netflix this winter, because this is very cool site that taps into your creative interests. Writing, Photography, Culinary, Design, Business, Film, Fashion, Crafts and DIY—there are more categories to get that right hemisphere of your brain cranking with bite size (one hour) videos that show you how to get better at a particular skill. Additionally, you can get real project feedback, participate in online discussions and read class notes from other students. I love that the app also works on your phone or your tablet. How is it possible in the age of exorbitant college costs these days to get a Harvard-level education and not pay a dime? With this website, you can get a English grammar and essay class from UC Berkeley, an Intro to Computer Science class from MIT, a Global Hospitality course from Cornell and way more. This free, nonprofit and open source online learning site allows you to take courses in in computer science, languages, engineering, psychology, writing, electronics, biology, or marketing. They also offer “verified” certificates (for a fee) for people who want to use their completed courses toward a college degree. Hey, beats paying thousands of dollars at a community college for the same thing. Trello is perfect for people are constantly smacking their foreheads and saying ‘D’oh!” because they can’t keep it all straight in their minds. Since I typically organize with Post-it Notes, I really like this easy- to-navigate website (and apps for your phone and tablet). It’s set up as drag-and-drop virtual Post-It Notes, whatever your daily to-do lists are, from bill paying, studying, work and personal development goals to a shareable board for ideas and tasks with your coworkers. Want to see inspiration on how to customize it for your life or profession? Check it out here.